Most people like to buy things on discount while the rest of us want to trade in stocks and make money from other people’s purchases. It's a well known fact that this is one of the most traded events which occurs once per year. While most people are busy using their VISA and MasterCard for buying things on discount, the few of us, smart traders, understand that demand will rise for some publicly traded companies and this will increase the value of certain stocks. 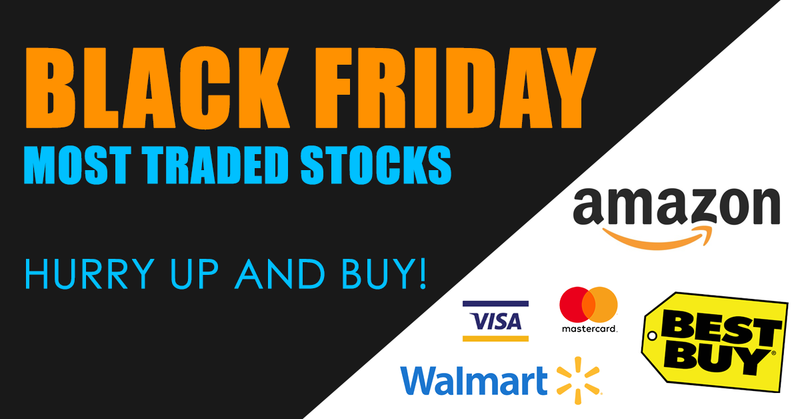 When it comes to Black Friday, the majority of people goes to the shopping centers, while the rest of us, opportunity seeking money maker go the Global Financial Markets so we can make some good profits in just one day. Basic market principle - Buy Low, Sell High! VISA and MasterCard will be used from people across the globe to purchase things on discount from Amazon, BestBuy, Walmart. Invest smart, or go shop and make money for the smart investors. It's up to you! Trade now, withdraw your profits later!